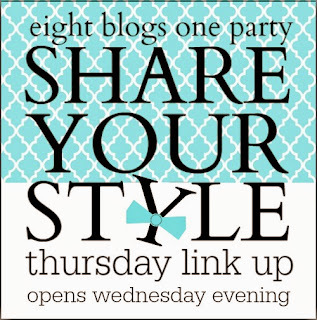 Hey all of you wonderful bloggy friends out there, I have a big announcement to make! 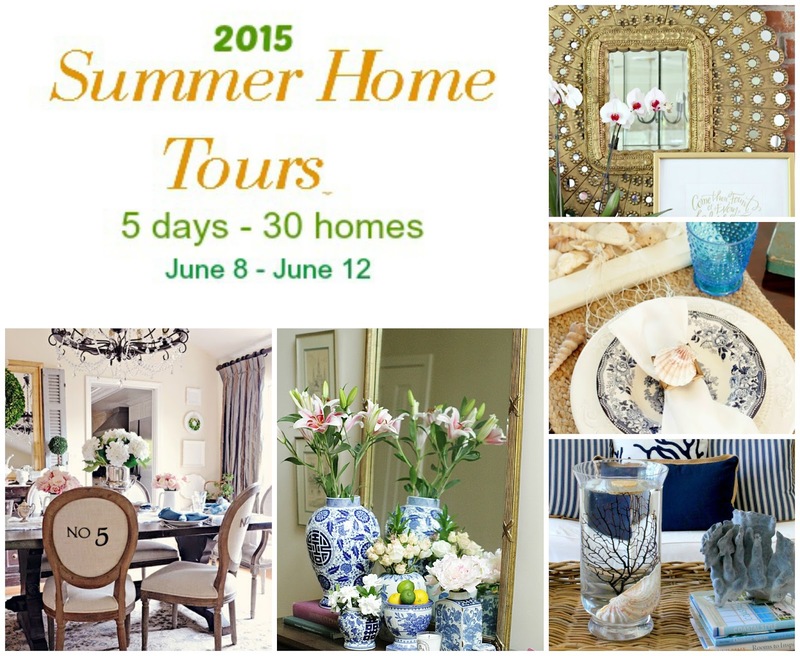 Beginning next Monday join 21 Rosemary Lane and 29 other fabulous bloggers in a massive Summer Home Tour. My good friend Marty from the beautiful blog A Stroll Thru Life has pulled together 30 bloggers to share their summer inspired home decor for a full 5 days! So be certain to mark your calenders for Monday June 8th!! I am sure it will be an incredibly inspiring 5 days. And don't forget to stop by on Wednesday evening to join our weekly Share Your Style link party. The fun begins at 7pm!! Great shout out, I can't wait for all the tours, the sneak peaks are perfect.